Hospitals all over the world require constant maintenance and restoration to maintain order and to avoid accidents or spread of diseases. The assigned housekeepers have a less noticed job, but their presence is important and without them, other services will not be performed or given. 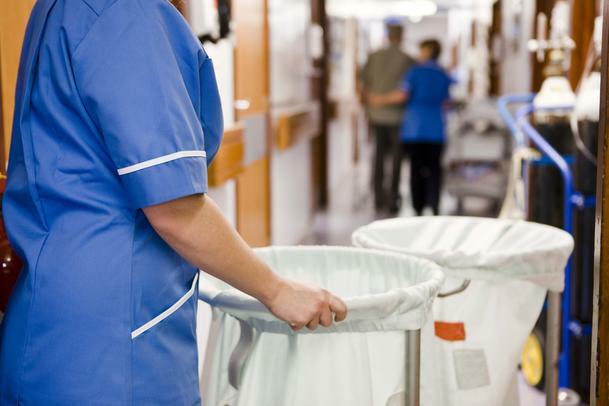 There are various duties that housekeepers do within the hospital. The most common job is to prepare the bed for the arrival of the new patient. They must ensure that the sheets are clean as well as the blankets. They must sanitize the tables and other equipments surrounding the patient. The floor must be cleaned as well and be sanitized. You will be disgusted when the comfort room is not properly cleaned. It is the job of the housekeeper to maintain the restrooms. They must sanitize it and replace tissues and trash bins daily. This is to ensure that the patients are comfortable with their stay and to avoid the spread of diseases. Their main job is to maintain cleanliness in every area of the hospital. They must clean the spills, like blood or feces, at the floor from the entrance to the rooms. They must also take the soiled laundry to the designated area where the laundry service will pick it up. They must also ensure that the equipments are returned to their proper spots when not in use, like wheelchairs, IV stand, nebulizers etc. Services will be delayed when these equipments are not in place when needed. They will also ensure that sufficient equipment such as gowns etc., are back in the same wards and make sure that there is enough amount of clean laundry. The housekeeper job is not as noticeable as compared to other jobs in a hospital like nurses and doctors, but their job is necessary in order to provide the complete services to the patient.